Gear up and get ready for war! 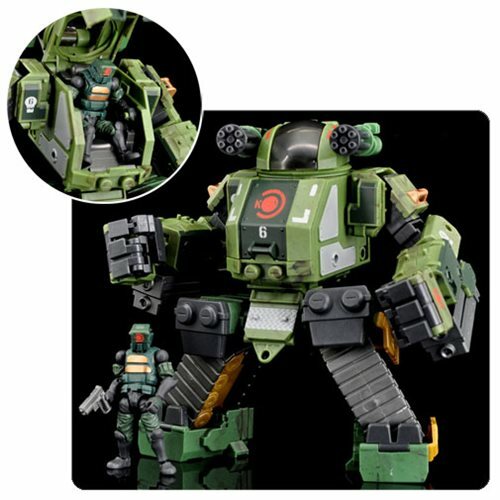 The Acid Rain B2Five K6 Jungle Stronghold STK2K Action Figure Set comes with a Stronghold vehicle developed to transform into two different modes: tank and armor mode. The set also includes is a 1:28 scale military pilot that is highly poseable with 21 points of articulation and comes with a heavy hand gun. Create your own battle scenes with the Acid Rain B2Five K6 Jungle Stronghold STK2K Action Figure Set!